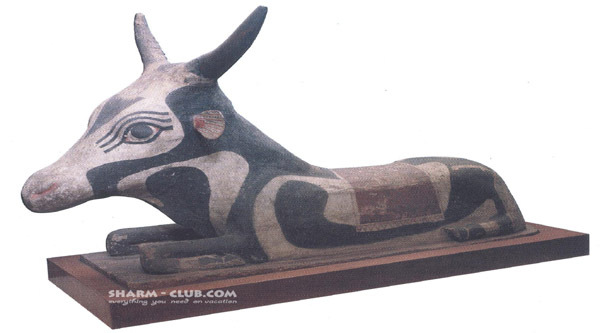 Mummification and mummies in ancient Egyptian history, god of mummified Anubis and Anch. All about mummification in Ancient Egypt. A beautiful sarcophagus from Luxor Mummification museum. Sinuhe, Egyptian well-known literary character, asks the old Ramose, who lived as embalmer in the house of death, the Amun-temple in Theban, in the famous novel by Waltari : "Why shall the human body be preserved, that it can withstand the death, when it is cold and numb?'' So it was and so it will be. Who I am, that I could explain, what happened since primeval times?" In Egypt arose the most distinguished and colossal cult of the dead, human has ever celebrated on earth. 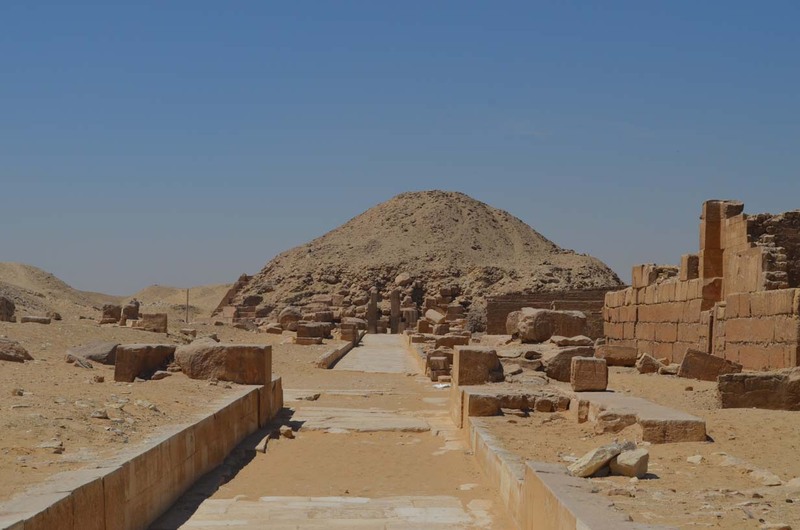 The houses and palaces of the living are gone, the tombs of the king, nobles, workers of the kings stayed to bear witness, how men lived in ancient Egypt and how they were buried. The ancient Egyptian believed that each man has many souls. Only the body died, but the souls, Ka, Ba and Ankh lives on as spirit creatures. Ka was a double of the death and had to take nourishment like the human body. For Ba, the house of the dead had to be on the west, so Ba could travel to the netherworld with the declining sun and come back with the rising sun into the human body. The Ankh guarded the death and followed as avenging ghost anyone who disturbed the silence of the tomb. After death these spirits were released from the body, with the ba visiting family and friends and the ka travelling back and forth from the body to the underworld. In order for a person to live on forever, the ba and the ka had to be able to recognise the body when they returned to it. The ancient Egyptians made elaborate preparations for death, but if a death occurred unexpectedly the person might be buried in a tomb intended for another family member, or the decorations of the tomb might be completed by the children of the deceased. It might take time to build a tomb, but the length of the mummification process would allow time to make a sarcophagus and/or cartonnage coffin dedicated to the deceased. These cartonnage coffins, which were used in the later dynastic and Graeco-Roman periods, detailed the person’s name and titles together with verses from the Coffin Texts that would ensure his or her safe passage through the obstacles that lay in wait before a place was secured in the afterlife. The coffin might be decorated with the wings of a protective vulture, with floral necklaces to symbolize regeneration, or with images of the four gods entrusted with the protection of the internal organs that were removed during the mummification process — Quebehsenuef, the hawk-headed god who guarded the intestines; the jackal-headed Duamutef, who guarded the stomach; the human-formed Imseti, who guarded the liver; and the ape-headed god Hapy, who guarded the lungs. There might also be a representation of the falcon god Horus, the reborn sun, which signified rebirth. Embalming and mummification, initially reserved only for pharaohs, eventually spread to all social groups, thus enabling the ba and the ka to find the correct body. The process of mummification was complex, however, and depended greatly on the social status of the deceased person. Clearly the higher the social rank, the better the mummification. At the mummy-master, the real mummification of the deceased took place. Seventy days priests and embalmer were busy with the embattlement of the dead body. The dead was placed on a 30 cm high table with a hole, thought that, the body liquids could drain off. First the body was washed with palm wine and water from the Nile, following which came the removal of the internal organs through a slit in the abdomen, while the brains were removed through the nose and discarded. The heart was left in the body. 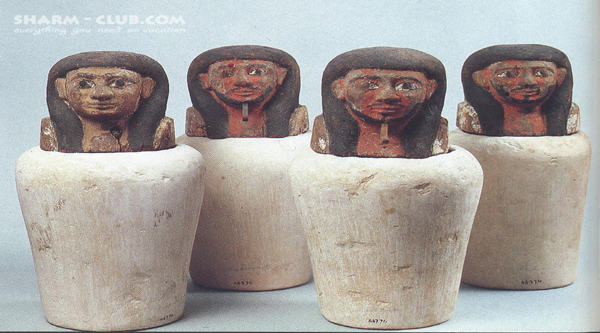 The mummified organs were placed separately in four canopic jars. (In later periods the dehydrated internal organs were wrapped and replaced in the body before burial, and the canopic jars remained empty). The body was then packed and covered in natron (hydrated sodium carbonate) and left for 40 days to dry out. After this period the mummy was washed again, smothered in oils and wrapped in linen strips. The fingers, toes and limbs were wrapped separately and amulets were placed among the wrappings. A copy of verses from the Book of the Dead was placed between the hands, and more linen strips were wrapped around the whole body. At every layer, liquid resin was applied to stick the bandages together. Finally the body was wrapped in a large shroud secured with linen straps, and it was then placed in the wooden or cartonnage coffin or stone sarcophagus in which it was buried. Priests conducted religious ceremonies and rituals during mummification and burial process to prepare the deceased for the afterlife. The ancient Egyptians believed that the deceased had to pass certain tests which set by the gods and the Book of the Dead he held would help this transit, the most important of which was the weighing of the ib (heart) — which was left in the body — against the feather of Maat (truth). If the heart did not weigh more than the feather the deceased was allowed to enter the underground realm of Osiris, but if it was heavier that the feather he or she was immediately eaten by the monster Ammit. A priest who is disguised as Anubis, the god with the jackal head, did the supervision over this holy ceremony. Before the internment, the craftsman of the dead city manufactured the death mask, portrayal of the face of the dead person. The death mask did not only cover the face of the dead person but also the upper part of the breast and the back. For pharaohs and important persons the masks were made of pure gold and inlaid with precious stones. The newly discovered mummies in the Oasis of Bahria show that the mummification continued even during the roman period in Egypt and the dead bodies were conserved with precision and beauty. A female ancient Egyptian mummy wearing gold jewellery has been unearthed at the temple of Thutmose III in Al-Gorna on Luxor's west bank in 2014. The mummy is in poor conservation condition as this burial site, along with others near, were subject to looting before. Jewellery was found on top of the mummy and includes a gold necklace ornamented with semi-precious stones and gold plates, with a finely wrought golden shell pendant in its middle. The pendant weighs over 20 grams. Two gold bangles attached to silver bracelets were also found on her arms, as well as two silver ankle bracelets. The pendant and the bangles are in perfect condition, but the ankle bracelets are damaged. Early study on the mummy reveals that the woman died in her 30s and was wealthy. In 1870 the Cache of Deir el-Bahari at Luxor’s West bank was discovered accidentally by Abdel Rassul family who were known as tomb robbers. And almost 10 years the cache remained the family’s secret treasure where they succeeded to steal and sell a bunch of mummies and other artifacts in the international antiquities market. In 1881, the Deir el-Bahari trove was known among the world and an official delegation included Maspero, Brugsch and Ahmed Pasha Kamal transported the 40 newly discovered mummies to Cairo. The cache was discovered in a rock-hewn cache and included two groups of mummies lied in plain and thick wooden sarcophagi bearing their names. The 1st group contained mummies from the 17th to 20th dynasties such as Seqenenre, Ahmose, Amenhotep I, Tutmosis I, II, III, Ramses I, Seti I and Ramses II, as well as eight mummies of princesses. The 2nd group included mummies of kings and priests of 21st dynasty inside their original sarcophagi. Later on another royal cache was discovered by French Egyptologist V. Loret inside the tomb of Amhotep II (KV35) at Luxor west bank and it included 11 royal mummies. Among them are the mummies of Amenhotep II and III, Tutmosis II and IV, Septah, Seti II, Ramses IV, V and VI as well as three unidentified mummies. Finally, almost 60 royal mummies were discovered in Valley of the Kings by Swiss archaeological mission when a cache of 18th dynasty was found in Apr 2014. 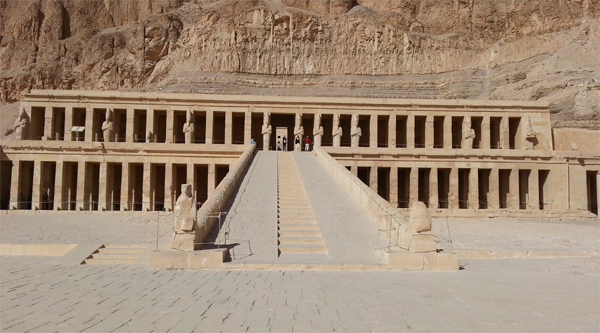 A cache of royal mummies has been unearthed inside a rock-hewn tomb in the Valley of the Kings on Luxor's West Ban. The tomb contains almost 60 ancient Egyptian royal mummies from the 18th dynasty along with the remains of wooden sarcophagi and cartonnage mummy masks depicting the facial features of the deceased. Early studies reveal that the Heratic texts engraved on some of the clay pots found inside the tomb identify the names and titles of 30 deceased, among them the names of princesses mentioned for the first time – Ta-Im-Wag-Is and Neferonebo. Anthropological studies and scientific examination of the found clay fragments will be carried out to identify all the mummies and determine the tomb's owner and his respective mummy. Among the finds were well-preserved mummies of infant children as well as a large collection of funerary objects. The remains of wooden sarcophagi were also unearthed, proving that the tomb was reused by priests as a cemetery. Early examinations of the tomb reveal that it has been subjected to theft several times since antiquity. 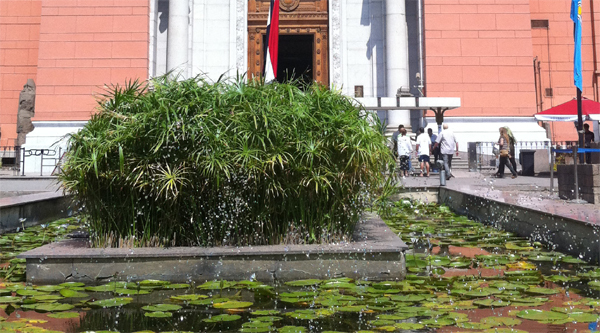 Some of Royal mummies can be seen in The National Egyptian Museum in Cairo at the Royal Mummies hall or in Mummification museum in Luxor.